Athena Theatre's new playwright group, Athena Writes, is made up of eleven artists who assembled for a year-long exploration of the theme "Falling Forward." On May 16th, they'll share what they came up with. I'm excited to be a part of this in two very different pieces. Proceeds from the evening go towards funding Athena's next season. Please join us! Look for tickets here. Two short plays I've penned (All Your Marxist Talk is Disturbing Jesus; Close Your Eyes and It's Almost Like They're People) will go up during a couple evenings of readings by the Barrow Group Apprentice Company. I'm so pleased with these little nuggets of theatre, and hope you'll join me on March 9th and 10th in checking out these up-and-coming performers, as well as hearing all those new words. Be one of the cool cats and grab your tickets here! I'm back in the saddle with Dan Giles and an awesome band of artists for He Hurt Himself in His Confusion! playing in Brooklyn this Thursday. We're going up at the Glove (traditionally a punk rock venue) and will be shredding some theatrical majesty in this coming-of-age story, featuring some of your favorite Pokemon. The venue is pretty intimate--but don't worry: no moshing--so make your reservations now! We closed Breeders on Saturday. This has been such an extraordinary project with such an incredible team. I truly felt at home in Dan Giles's text, and I hope this will be the first of many collaborations with him, and as well as many of the other artists who put so much effort and focus into making this production happen. These moments can be bitter sweet--a world and a life you've built for months, ending in a final black out one Saturday evening. But there are advantages to not being in the theater five nights a week. You have time for other things--like laundry, and grocery shopping, and exercise. Eating eight mock-baby hamsters 5-6x a week has definitely begun to take it's toll on certain regions of my body those over-sized hamster suits kept so well hidden...So I'm going to lean into that (and maybe go outside?!) for a little while. My beloved Breeders opens tonight! This play has been near and dear to my heart since I first read the script as part of the selection for New Light Theater Project's New Light New Voices Award for 2017. The role of Tyson (a hamster) has been one of the most wonderful acting challenges I've ever encountered. It's been a joy tackling it with such an amazing cast and creative team. Wanna know more--and wanna witness a hamster birth, live on stage? Come and join us! Grab your tickets here! 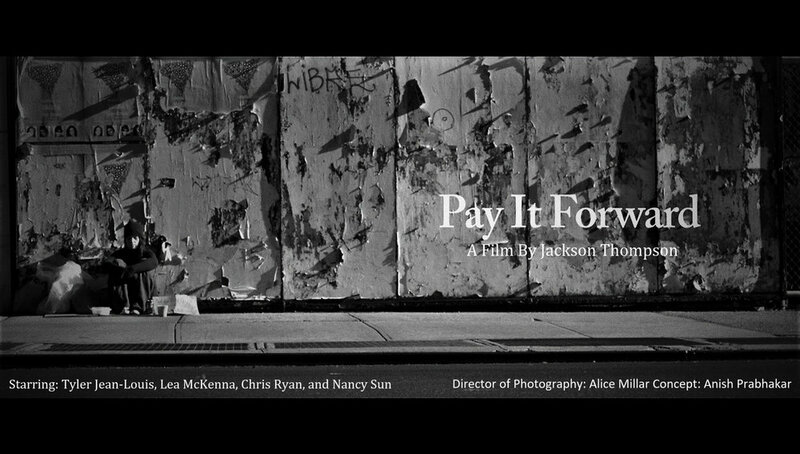 'Pay It Forward' screens in Brooklyn! Just got word that Pay It Forward, a film I was lucky enough to be a part of awhile back is being screened at Nitehawk Cinema on May 18th! 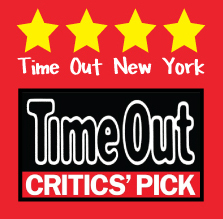 Not to be confused with the Kevin Spacey-Helen Hunt-Haley Joel Osment movie set in Las Vegas, our Pay It Forward is a silent short set in New York City. It was shot over the course of a single day, in and around East Harlem and the UES. I play Gabby: a cold, homeless woman. My favorite part of the shoot was when I was mistaken for an actual homeless woman on the street by two separate pedestrians. One offered me an apple. To this gentleman I explained I wasn't actually homeless, and motioned to the camera that was pointing at us from fifty feet away with people behind it. Undeterred, he gave me the apple any way. It was from New England, he explained, and was a very special kind of apple. It was delicious. The other person to mistake me as actually homeless gave me a dollar. Obviously: I pocketed that. PIF is showing along with several other shorts made by alumni of UCLA that evening, and I'm looking forward to seeing what else is on the bill. Please join us! You can find tickets here.